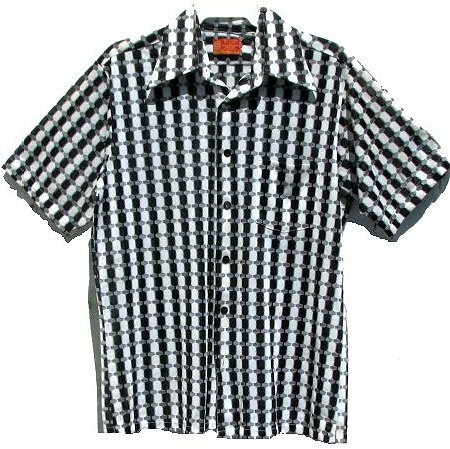 This vintage shirt has a neat pattern that must be seen in person to truly appreciate. The shirt possesses a nice large fly collar. It's made of a very lightweight fabric that is 50% polyester and 50% nylon. It's light enough for summer wear. The indicated size is a size large, but this would fit a today's size medium. The chest will easily fit a size 40, but the shoulder area is a today's medium. It can be machine washed on gentle and hung dry. Hand washing extends the life of fabric.